If you're like millions of Americans, sleep doesn't come easy. Many people have a difficult time falling asleep. Sometimes that's due to late-night TV watching or spending time on electronic devices, but sometimes sleep is just replaced by tossing and turning. Others can't seem to stay asleep. They may wake multiple times or may not be able to fall back to sleep at all. And for some, sleep is disrupted by the wakings of young children or even pets. We stress over not sleeping which leads to a vicious cycle: increased stress leads to less sleep which leads to more stress. We all know that we NEED restful sleep, so what are we to do? In this article, we'll discuss the reasons why sleep is so important for our health and wellness. Then we'll also look at a few natural "remedies" to treat insomnia and to help us get better, restorative sleep. When we get enough sleep, our hormones act for us instead of against us. Sleep helps to increase leptin. Leptin is often referred to as the "satiety hormone." It tells the brain that we have enough fat stored, that we don't need to eat, and that we can burn calories at a normal rate. On the contrary, when we don't sleep enough we can experience leptin resistance, making us store body fat. Lack of sleep increases ghrelin, the hormone that causes hunger and cravings. Sleep loss also increases cortisol the next evening. This is problematic because we want cortisol levels low at night. These elevations in cortisol further increase the likelihood of obesity because they cause higher insulin levels, dropping your blood sugar and making you crave sugary, fatty foods. You probably know first-hand that when you don't sleep enough, your appetite increases the next day, especially for "junk" food. It's not your fault ... chalk it up to your hormones. But try to prioritize sleep the next night so that your body can re-regulate itself. Sleep deprivation is often associated with driving accidents. If someone has been awake for a full 24 hours and drives, it's like having a blood alcohol level of .10 which is .02 above the legal driving limit. Lack of sleep can also cause us to make mistakes. Medical errors made by nurses and physicians may sometimes be due to sleep deprivation. A 2006 National Academy of Sciences study found interns who worked just three hours more per shift committed 22 percent more critical errors, which resulted in increased morbidity and mortality, than their counterparts. We simply cannot think as clearly when we're tired and our reactions times are much slower as well. According to the journal Biological Psychiatry, researchers have found that sleeping too little (less than 6 hours) AND sleeping too much (more than 8 hours) increased inflammatory markers like C-reactive protein (CRP) and interleukin-6 (IL-6). These markers are correlated with increased pain and disease states. Less sleep also equals a lower pain threshold. We are unable to tolerate the same amount of pain or pressure that we may tolerate when we're well-rested. A study published in the journal Arthritis and Rheumatology followed more than 4,000 participants over the age of 50 for three years and found that the best predictor of widespread pain is lack of restful sleep. This pain was primarily of the joint and musculoskeletal variety. Poor sleep is also known to exacerbate pre-exisiting painful conditions like fibromyalgia, rheumatoid arthritis, osteoarthritis, and Crohn's disease. Inadequate sleep interferes with our body's ability to rejuvenate itself. Our immune systems can function optimally and work on clearing out pathogens and toxins while we sleep. We all know that when we have viruses and colds, sleeping helps us to recover quicker. In a large study published in the Archives of Internal Medicine, researchers found that those who slept less than 7 hours were almost three times more likely to develop a cold than those who slept 8 or more hours. The same goes for disease states. We need sleep to help ward off disease. Disturbed sleep is associated with higher blood glucose which can lead to diabetes. Risk of higher blood pressures and heart disease also increases with inadequate sleep. Studies have also shown that lack of sleep or disturbed sleep is associated with higher rates of breast, prostate, and colorectal cancers. In addition, people who have sleep apnea have an increased risk of developing cancer of any type. If you're feeling sick, run down, weak, or stressed, aim to get 8 hours of sleep each night. When we're tired, we get cranky. Little things irritate us that normally wouldn't. Sometimes these little things add up which leads to miserable days and chronic feelings of angst. This can translate into depression. A 2015 study titled "Sleep Deprivation and Depression" found that chronic sleep deprivation may lead to depression that is attributed to the neurochemical changes that occur in the brain. On the other hand, depression may lead to disturbed sleep. So, loss of sleep and depression go both ways ... one may cause the other. In another major study of 10,000 adults, people with insomnia were found to be five times more likely to develop depression. Anxiety can also manifest in addition to or instead of depression. We feel much calmer and ready to take on the day's demands when we're well-rested. This translates to better relationships at home, work, and in interaction with the general public. During sleep your brain strengthens memories or "practice" skills learned while you were awake. Memory consolidation occurs during slow-wave sleep, meaning that the different pieces of what you've learned during the day come together coherently so that the knowledge can be accessed when needed. Good sleep has been shown to improve problem-solving skills and enhance memory performance of both children and adults. In fact, children with ADHD can often concentrate better in school after a good night's sleep. Studies have also linked poor sleep to an increased risk of Alzheimer's. One of the reasons for this has to do with the fact that the glymphatic system — your brain's waste removal system — only operates during deep sleep. In a study on basketball players, longer sleep was shown to significantly improve speed, accuracy, reaction times, and mental well-being. Another study of over 2,800 women found that poor sleep was linked to slower walking, lower grip strength, and greater difficulty performing independent activities. So, lack of sleep can harm not only the very athletic, but it can make a big difference to all of us as we go about our activities of daily living. Lack of sleep can cause us to be clumsy, in pain, and inpatient. All of these can lead to unnecessary injury. Not getting enough quality sleep contributes to many of the problems people often associate as just part of the aging process. We’re talking weight gain, slowed metabolism, muscle weakness, wrinkles, under-eye bags, and a dull complexion. During sleep, our bodies can eliminate toxins that literally age us. When we are asleep, our cells rebuild and repair themselves. Also, natural human growth hormone (HGH) functions during the night. This is the time that young children grow. But as adults, we also benefit from this hormone. HGH helps us maintain our muscle mass and bone density. It also help with hair thickness and growth, brighter and more supple skin, less fat around the waist, sexual libido, and overall energy. Who wouldn't want all of those?! 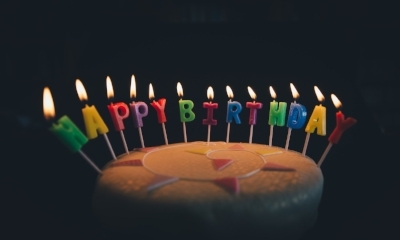 A study published in Frontiers in Aging Neuroscience looked at groups of individuals, including those age 85-105. The study found that human longevity was associated, in part, with regular sleep/wake cycles. Consistent sleep promoted overall good health and a prolonged lifespan. Another large review of studies looked at the relationship between sleep duration and death. The review encompassed 16 studies that involved about 1.4 million individuals. It found that six or less hours of sleep was associated with a 12% increased risk of death. However, it also found a 30% increase linked with nine or more hours. So there appears to be a "sweet spot." Seven to eight hours of sleep seems to be the optimal amount of sleep for most adults. 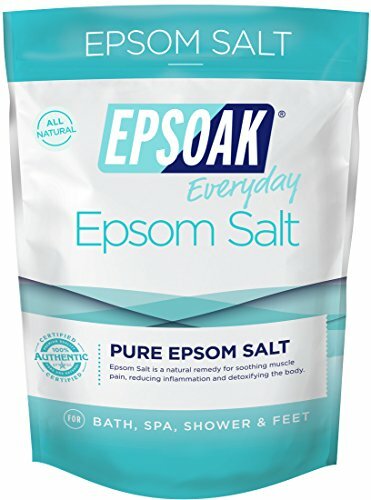 Epsom Salt Baths -- The magnesium in epsom salts is absorbed through the skin to help replenish magnesium levels in the body. Magnesium helps promote a feeling of calm and relaxation which can help improve your sleep. The warm water will relax you, and the temperature drop from getting out of the bath signals your body it's time for bed. 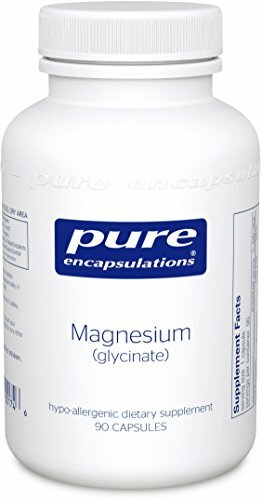 Magnesium Supplements -- For the same reason epsom salts work, magnesium supplements do as well. They help decrease cortisol, the “stress hormone” that can keep you up at night. They also helps muscles relax, to give you that calm “sleepy” feeling and help you unwind after a long day. Try taking 400 mg of magnesium glycinate or magnesium chloride before bed. 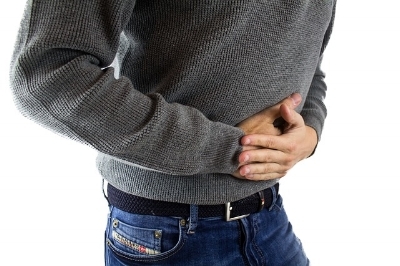 (Magnesium citrate can act as a laxative, so you'll want to avoid that before sleep.) You can safely take up to 1,000 mg of magnesium to assist with sleep. It's one mineral most of us are deficient in. Lavender Essential Oil -- Lavender, a natural relaxant, may slow the activity of the nervous system, thus inducing a feeling calm. It can be diffused into the air or sprayed onto your pillow at night. It can also be diluted and rubbed onto your wrists or the soles of your feet. GABA -- GABA (gamma-aminobutyric acid) is a neurotransmitter that can dampen nerve activity. Healthy people with insomnia often have reduced levels of GABA. In one study, an amino acid preparation containing both GABA and 5-HTP, which your body produces from the amino acid tryptophan, reduced time to fall asleep, increased the duration of sleep and improved sleep quality. You can buy a GABA supplement, or try to get it from your diet. Your body produces GABA from glutamate. Foods naturally high in glutamate/glutamic acid include protein-rich, grass-fed meat, pastured eggs and poultry, raw grass-fed cheese, wild-caught fish, sea vegetables, ripe tomatoes, mushrooms, fermented vegetables, and kefir. Melatonin -- Our bodies naturally produce melatonin. Exposure to bright light during the day and then darkness as night approaches helps to encourage innate melatonin production. However, sometimes people may benefit from a melatonin supplement. The following are recommendations that have been studied: for trouble falling asleep: 0.3 to 5 mg of melatonin daily for up to 9 months. For sleeping problems in people with sleep-wake cycle disturbances: 2 mg to 12 mg taken at bedtime for up to 4 weeks. Ideally, you'll just want to take melatonin to re-regulate your sleep patterns and then try to gradually eliminate its use. Those who take melatonin for prolonged periods of time may become less able to produce it themselves without relying on the supplement. Avoid Blue Light An Hour Before Bed -- Blue light comes from our devices ... phones, ipads, computer screens, and TV. These trick you brain into believing it's still day time. And melatonin production may also come to a screeching halt. Sleep in a Dark Room -- Invest in "black-out" blinds and/or curtains. Turn off lights from clocks, TVs, phones, etc. Or wear an eye mask. The slightest bit of light in your bedroom can disrupt your body’s clock and your pineal gland's melatonin production. Sleep in a Cool Room -- The ideal sleeping temperature is around 68 degrees Fahrenheit. Scientists believe a cooler bedroom may be most conducive to sleep, since it mimics your body's natural temperature drop that occurs generally about 4 hours after you fall asleep. Consider Sleeping Alone -- This is sometimes a difficult decision to make, but your health may depend on sleeping alone ... or without someone who snores. If your partner is restless or noisy, this directly affects your quality of sleep. Limit Liquids Before Bed -- No one likes to get out of a warm, cozy bed to use the bathroom. Drink nothing an hour or two before bed. However, once you wake up in the morning, down a large glass of water. Being hydrated will give you energy for the day and improve your overall health. Eat a Snack an Hour Before Bed -- This snack should consist of a protein, healthy fat, and carbohydrate. The fat will help regulate your blood sugar so that you won't wake due to low blood sugar. The protein provides the L-tryptophan needed for your melatonin and serotonin production. The carbohydrate helps the tryptophan cross your blood-brain barrier. An example might be half an apple with peanut butter and a piece of cheese. Wear Socks -- I love to wear socks to bed, but many people do not. Science does support keeping feet warm, however. A study has shown that wearing socks to bed reduces night waking. Relax Before Bed -- Find something relatively non-stimulating to help relax your mind. Try any of the following: meditation or prayer, reading a book by dim light, gratitude journaling, listening to relaxing music, sipping warm herbal tea, or deep breathing exercises. Avoid Alcohol -- Sometimes people think alcohol will help them sleep. While it may help you to fall asleep, studies show that alcohol makes us have more fitful, restless sleep and actually promotes night waking. Exercise Regularly -- Exercise can help us have restful sleep. It encourages good use of energy and subsequent relaxation and helps improve circadian rhythms. But be sure to do it earlier in the day. Exercising before bed acts as a stimulant. Regulate Adrenals and Hormones -- Many of us, especially women, struggle with adrenal fatigue which can result in excess cortisol production in the evening, leading to wakefulness at night and sluggishness during the day. Also peri-menopausal and menopausal women often struggle with hormonal swings which may cause hot flashes, irritability, and sleep disturbances. Work with your doctor if this are the case for you. 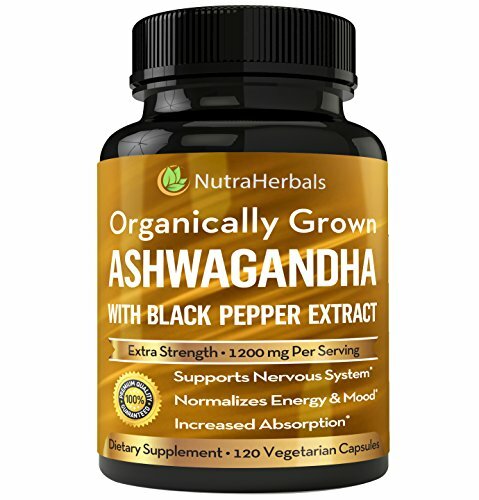 However, you might look into taking adaptogenic herbs like ashwagandha or a progesterone cream. Help Little Ones Sleep -- I'm really of no good advice on this one, but I wanted to throw it out there for those who may be in the same boat. My two-year-old son still wakes at least once during the night. I can typically get him back to sleep easily by channging his diaper, giving him some milk, and holding him in the rocker for a few mintues. However, my sleep is not great because of this. (In fact, I haven't had a solid night's sleep since my first son was born over 4 years ago.) During the baby and toddler years, it's important to give ourselves grace. Maybe we need to workout less, stress less over small things like having a perfectly tidy house, or just try to nap when we can. There are sleep techniques like "cry it out" or the "no-cry sleep solution." Plenty of books exist to assist you through these sleepless nights and years. Just rest assured, it's a period of time in our lives, not a forever thing. We just need to take care of ourselves and try relaxation techniques when possible even if sleep itself evades us. 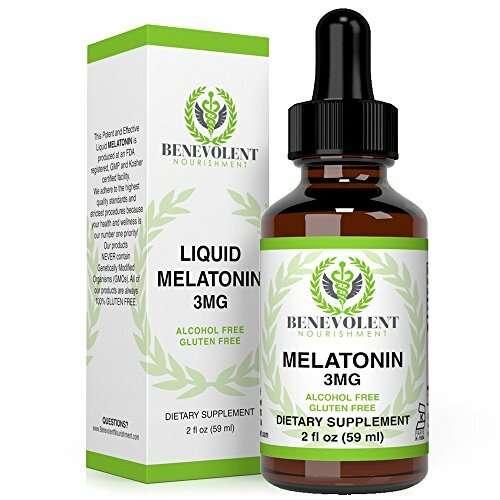 Melatonin 3MG Liquid. Potent & Effective Sublingual Drops. Alcohol Free and 100% Gluten Free Formula for Entire Family. 2oz Bottle.